By the end of the 2018 year, Vancouver duo The Funk Hunters have celebrated winning Electronic/Dance Artist of the Year at the Western Canadian Music Awards, and reached number 1 on the Billboard Dance Club Chart with an official remix of U2’s “Love Is Bigger Than Anything In Its Way.” The fan favored and media celebrated remix collaboration with U2, served as the initial cut to the pairs upcoming remix album spin, of their March 2018 debut full-length artist album release TYPECAST. The original- TYPECAST LP features collaborations from Leo Napier (GRiZ / Gramatik), DiRTY RADiO, LIINKS, Paul Brenning, Dynamite MC, and Steven Beddall. 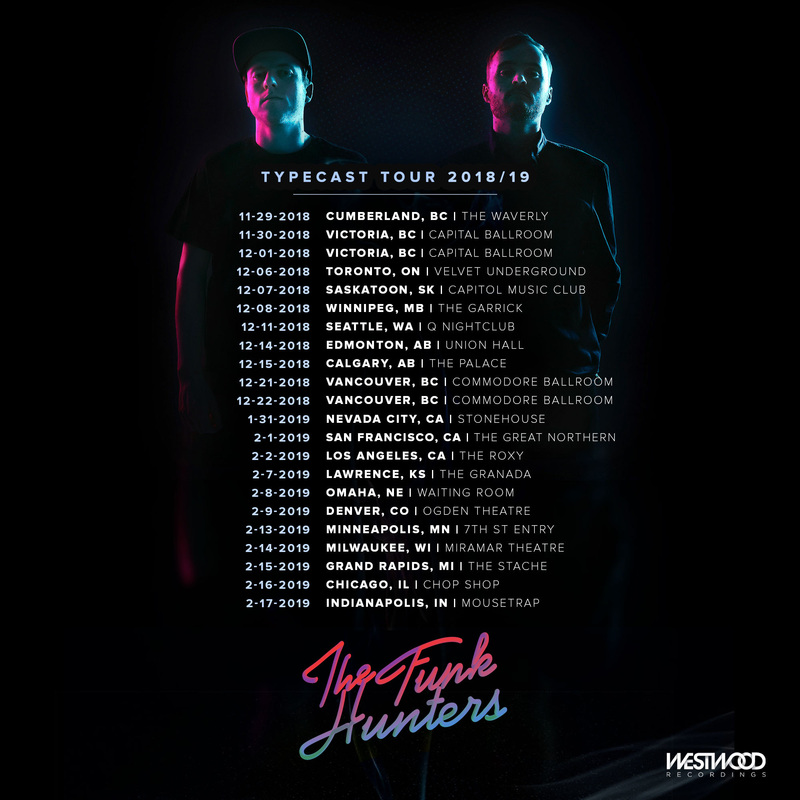 Stream TYPECAST HERE In addition to embracing a profoundly notable year and gearing up to release their upcoming TYPECAST remix album, The Funk Hunters fulfilled the remainder of 2018 successfully and swept across Canadian cities with the duo’s annual- “Funk The Halls” tour. The guys prepare to invite yet another year of achievement and are bringing both the original and remix album to the United States, in form of a TYPECAST Tour. First launching off the West Coast on January 31st in Nevada City, the tour will continue to Los Angeles, San Francisco, Chicago, Minneapolis, and many more before hitting their final performance in Indianapolis on February 17th. Find a full list of dates and ticket purchase here. The Funk Hunters have cultivated an unmistakable signature sound by creating forward-thinking electronic music that is influenced by old-school soul, funk and hip-hop. This sound has awarded the pair over 600 performances in 16 countries, including major festivals such as Coachella, Burning Man, Osheaga, Shambhala, and Electric Forest. 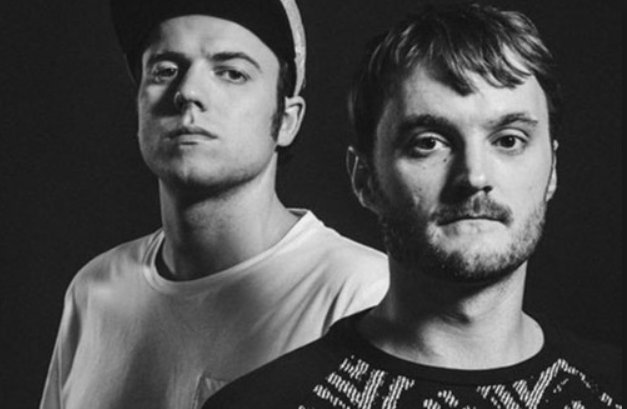 Their music has also amassed over 10 million track streams across their catalogue of remixes and collaborations, including official remixes for Imagine Dragons, Selena Gomez, Big Gigantic, Gramatik, and now U2.